Clinton did fundraiser that indirectly benefited FBI official’s wife. FBI Deputy Director Andrew McCabe on June 11, 2015, in Alexandria, Virginia. The standard right-wing explanation for the FBI’s decision not to recommend that Hillary Clinton be prosecuted for keeping some classified information on a private server is that agency director James Comey has been, like, compromised by the global pro-Clinton conspiracy. This theory breaks down a bit when you consider that Comey is a longtime Republican (though he’s no longer registered) who donated money to John McCain’s and Mitt Romney’s presidential campaigns and served in the Justice Department under arch-conservative George W. Bush official John Ashcroft. New reporting by the Wall Street Journal, however, has uncovered some information about one FBI official that at least raises the possibility that the Clinton investigation involved an improper conflict of interest. Longtime Clinton aide and ally—and current Virginia governor—Terry McAuliffe recruited a woman named Jill McCabe to run for state Senate in March 2015. McCabe’s husband Andrew was, at that time, the director of the FBI’s Washington, D.C., field office. Hillary Clinton was the featured speaker at a June 26, 2015, fundraiser for the Common Good VA PAC and the Democratic Party of Virginia. In late July 2015 the FBI began investigating Clinton’s private-server case. In that same month, Andrew McCabe was promoted to become the bureau’s associate deputy director—the agency’s No. 3. 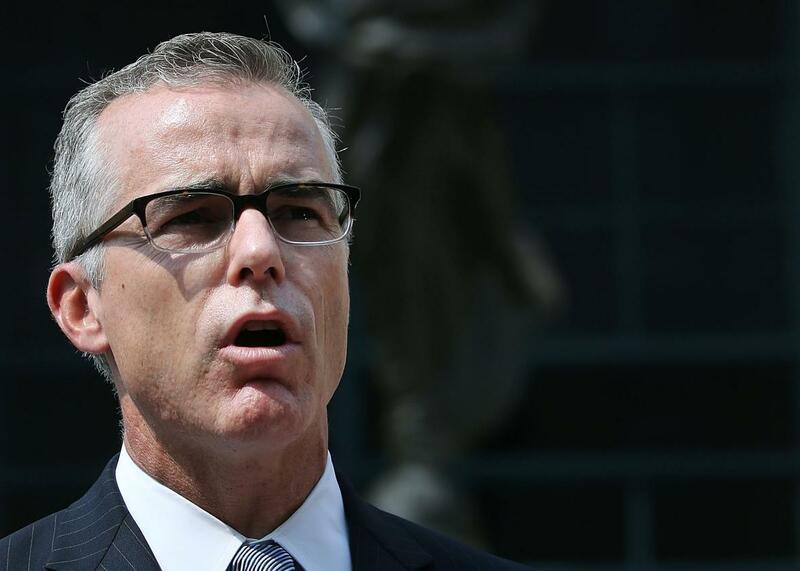 The FBI says that McCabe did not have any “oversight” over the Clinton case as associate deputy director. In October 2015 the Common Good VA PAC, controlled by McAuliffe, gave $450,000 to Jill McCabe’s campaign. In November 2015 Jill McCabe lost her race. One would not have to be a conspiracy theorist to note that Andrew McCabe, who was involved at least peripherally in an investigation into the Democratic Party’s presumptive presidential nominee, had/has personal reasons to be friendly to the Democratic Party establishment’s interests. What hasn’t been proven is that Hillary Clinton did anything improper. Clinton would have had to be a pretty advanced political chessmaster to do a June 2015 fundraiser with the knowledge that, in October 2015, it would benefit the wife of an FBI official who would be promoted to an oversight position into her email investigation the next February. And McAuliffe would have to be an even savvier operator to have recruited Jill McCabe to run for office in March 2015 in the hopes that, sometime down the line, her husband would get promoted to the point of overseeing an investigation that didn’t yet exist. There’s also no evidence Andrew McCabe actually influenced the email investigation in a way that benefited Clinton. For all we know, he could’ve been pushing for her prosecution only to be overruled by Comey. And yet: It seems like Andrew McCabe should probably have recused himself from the investigation into the Democratic presidential candidate who had, months earlier, headlined a fundraiser that benefited his wife’s Democratic political campaign.